ABC's upholstery cleaning procedure can be used to clean your upholstered furniture right in your own home or business - even if DRY CLEANING is recommended! Our equipment and cleaning solutions are capable of NON-TOXIC, ENVIRONMENTALLY SAFE dry cleaning as well as wet cleaning -- wherever your upholstery is located! No pick up and delivery required. No waiting for a week to get your upholstery back. Please call our office at (607) 272-1566 to schedule an appointment. You may also contact us here. Please note: Certain delicate types of fabrics or furniture with fabric that needs specialized or repeat cleanings may need to be cleaned in the controlled environment of our cleaning plant. we may request you bring them to our plant or utilize our pick up and delivery service. If we have explained to you that your particular piece of upholstery needs to be cleaned in our plant, we have done so for both your protection and ours. In the last several decades, cleaning tools and equipment have changed dramatically. Upholstery cleaning equipment is designed to produce high heat and lower water pressure, which helps to clean heavily soiled fabrics more safely and efficiently. Today, the ability to precondition with neutral or acidic upholstery cleaning products and rinse with clear water, acidic rinse agents or special dye stabilizing agents has allowed ABC's upholstery cleaning procedure to combine hot water extraction's (steam cleaning's) effectiveness and residue removal benefits with the safety of the most popular methods in the past--dry foam or dry solvent cleaning. Whatever process your furniture needs, wet or dry cleaning, we can provide it. Stain Protection and Other Topical Treatments After Cleaning? An application of stain protection after upholstery cleaning will keep your upholstered furnishings cleaner longer. Please remember that any after-market treatment of stain protection will wear off in time and the fabric may need to be re-treated after the next cleaning. The length of time between treatments depends on the degree of usage of the piece of upholstery. It is the house dust mite waste or feces, and not the mites themselves that triggers asthmatic and allergic attacks. Research has revealed this trigger is a microscopic protein in the mite excrement called Der p1. Our dust mite treatment is derived from naturally occurring extracts found in plants and trees. It works by instantly deactivating the allergen Der p1 by denaturing the substance. Eliminating this allergen is the initial priority because the eradication of the dust mite is virtually impossible. Studies by doctors and universities have demonstrated that when dust mite droppings are treated with the main active ingredient contained in our dust mite anti-allergen treatment, the allergens are physically changed, rendering them permanently harmless to people who display allergic symptoms to dust mite allergens. Cleaning codes are listed on some upholstered items, usually on the decking under the cushions. These codes help identify the type of cleaning process recommended by the manufacturers to be used on the fabrics. (Please note: do not confuse this with the white 'do not remove' tag found on many pieces. This tag describes the inside stuffing of the item, not the fabric covering). While the codes serve as a general guideline for cleaning, they may not always be the optimum solution. 'S' code assures that dyes are stable to dry (solvent-based) spotters or cleaners. These should be cleaned with a dry-cleaning solvent method. 'W' code means the dyes are stable to water-based spotters and cleaners. 'W/S' signifies dyes are stable to water or solvent-based spotters or cleaners. 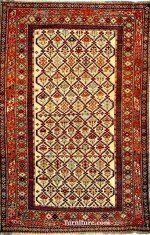 'X'" code indicates dyes are not stable to either water or solvent-based spotters or cleaners and should only be thoroughly vacuumed on a regular basis. At ABC, our upholstery cleaning process involves carefully identifying each fabric type, through positive testing, to determine which cleaning method will provide the best cleaning results to you and still be safe for your upholstered fabric. 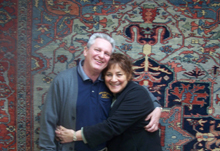 Your upholstery will go through a thorough investigation for the possibility of 27 specific pre-existing conditions. A complete inspection of your upholstery can reveal the age of the piece, upholstery cleaning history, consumer spotting, special problems, etc., regardless of the primary reason for the cleaning. 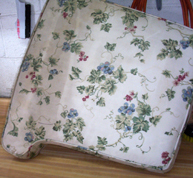 It is important to check the arms, skirts, cushion shrinkage, pilling, buttons, bleeding, color loss, holes, rips, tears, spots and stains, quilting, zippers, platform, wood trim, hair, oil, foam, sub fabric, ink on the fabric, latex, color differences and other hidden and surface areas of the upholstery. The care taken before the cleaning process begins reduces mistakes and losses that could occur otherwise. Unfortunately, most manufacturers of upholstered furniture give little consideration to the fact the fabric will ever be cleaned. Because of this, we cannot guarantee the results. There can be no guarantee regarding shrinkage, fugitive colors, fabric separation, change in texture, or any resulting unforeseen problems occurring from soil resistant treatments and conditions which cannot be anticipated as well as any problems that may arise from previous cleanings over which we had no control. If you plan on bringing cushions to our plant, please Do not remove the fabric covering from the cushion itself before cleaning. Cushions and upholstered furnishings should be cleaned with the fabric and foam or other stuffing material intact. This is in order to maintain the original their shape and size. Upholstered furnishings can accumulate soil rapidly. Soil buildup is due to oils, dander, and soil from contact with human and animal skin and hair. Dander and soil can be removed by vacuuming the furniture regularly. Areas that receive heavy soiling are typically cushions, arm rests, skirtings, and headrests. Frequent attention to these areas will reduce the chances of excess soiling. Spots and spills should be addressed as they occur using only the proper spotting compounds and procedures. Please call our office for information on proper spotting methods for upholstery at (607) 272-1566. You may also contact us here. Rotating cushions and utilizing arm covers and/or head covers will prevent premature wear and prolong the fabric's life. A professional cleaning and the application of a stain protector after the cleaning will assure your upholstery will be protected from permanent damage from any accidental spills. 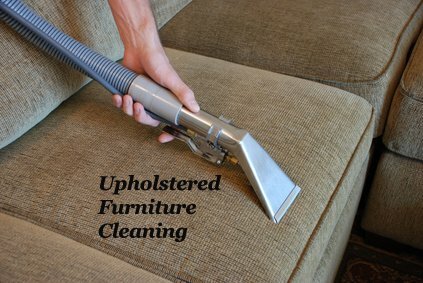 Please call our office if you have any questions about the cleanability of your upholstered furniture. There may be times when it may be more convenient for you to have your furniture cleaned in our plant. We offer a pickup and delivery service or you may bring in your item yourself and receive our cash and carry discount for in plant cleaning. If you are looking for an upholstery fabric that would work in a home with pets, please read our article, Pet Friendly Upholstery Fabric. Leather upholstery cleaning as well as types of leather upholstery and general maintenance of each is discussed in Leather Upholstery Cleaning. Be sure to Sign up Below so you don't miss any special discounts or promotions from us. Our blog content can also be sent directly to your inbox. Blog content will be published periodically and will include only useful and interesting information, carefully chosen specifically for our customers.